Ask anyone familiar with ereaders or tablets and they'll tell you that E-ink screens are energy efficient and LCD screens are power hogs. Thanks to Apple, LCD screens have a reputation for looking pretty while also being draining batteries, but that doesn't mean that this will always be the case. A couple weeks ago I attended the Books in Browsers conference in San Francisco. About half the presentations were interesting, around a third were boring, and the minority fell into the cannot be missed category. The following video is from the latter category. 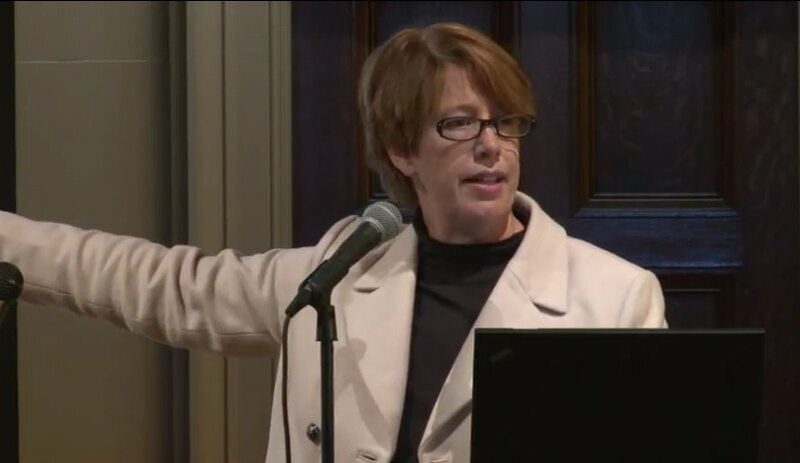 Mary Lou Jepsen, c0-founder of OLPC and Pixel Qi, was at the conference and she spoke on the current state of the LCD industry. She revealed that almost no screen manufacturer was making money in this industry (there's an excess of production capacity). Of course, neither Apple and Samsung actually make the screens they use, so they aren't factored into that statement. But more importantly she shows where LCD screens could go next. There's all sorts of new possibilities under development, including everything from Liquavista's long delayed next-gen LCD screens to tech which no ones is using yet in their devices. This includes everything from smart displays which remember what image they are supposed to be showing to a new concept for wireless thin-client displays. 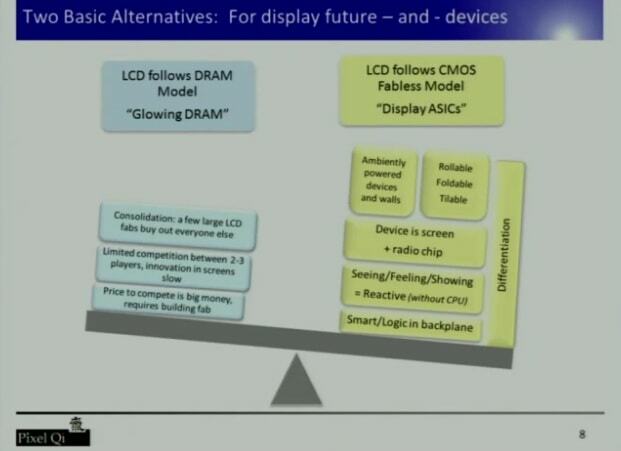 There's one slide in particular which you can see at 10:20 which shows what the screen tech industry is doing now vs what they could be doing. Everything on the right side of the chart could be done now. The rest of the presentation is equally worth watching. P.S. When I covered the new low-power LCD screen from JDI a while back my notes from this talk was where I got my info on how that screen worked. That is how useful this is. Thanks for this post. I hope that more innovative, reflective, and low-power screens come soon. Great post. Mary Lou’s presentation covered a lot of ground technically, scientifically, and global economically. One thing to add related to the impact of world dominance of TFTLCD displays and the enormous investment in place — the hesitancy of companies and VC’s to fund new, innovative, low-power, highly readable screen technologies. There are some out there (see our website). Another essential requirement will be low-capital market entry models. I hope Pixel Qi can start a revolution. Yes. There was so much useful info in that half hour that it is difficult to summarize it adequately.